“Young and The Restless” star Cait Fairbanks, who plays Tessa Porter, finally addressed the rumor circulating around the internet that she is leaving the soap. Fairbanks, who was upset by the gossip, cleared things up and said she and her character were not being cut from the CBS soap opera. Reliable sources revealed that Fairbanks and her character Tessa are actively working on the Y&R. There is not even a single ounce of truth to the rumors that she has been let go from the sudser. There are several exciting things that are in the works for both Fairbanks and her singer-songwriter alter ego. In her Twitter post, Fairbanks said “Just a rumor,” which gave her fans an assurance that she’s not going anywhere. Her co-star Camryn Grimes, who plays Tessa’s girlfriend Mariah Copeland, posted “It’s a rumor!” on Twitter recently. Fairbanks debuted the “upbeat, free-spirited singer with a strong intuition about people” in 2017. Since her first appearance, she has received several accolades including a Daytime Emmy nomination last year. After releasing her first song in November last year, it was recently reported that “The Young and The Restless” star Cait Fairbanks, under the name Ginesse, has released the music video for her single “Noise” on YouTube. 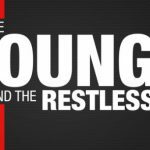 Knowing that Fairbanks is staying put in Genoa City is good news for “The Young and The Restless” fans since the soap has been cutting off characters. Viewers already know that Jason Canela was already released from his contract. Apart from Canela, it was announced that Noemi Gonzales would be leaving the soap as well. The recent cuts were made after Mal Young left the show. Although there are cast members who are leaving, viewers can also expect the return of some fan favorites like Kevin Fisher (Greg Rikaart). CBS has always remained tight-lipped when it comes to who’s leaving the show. However, it will be very interesting if they make an official announcement about it, confirming or denying the rumor about Fairbanks’ exit.